Diamond V recently welcomed Allyson Kragel, who has joined the company as marketing communications manager. Kragel earned her bachelor of arts in journalism and mass communication from Iowa State University. Prior to joining Diamond V, she worked as senior marketing coordinator for Kirkwood Community College for nearly five years. 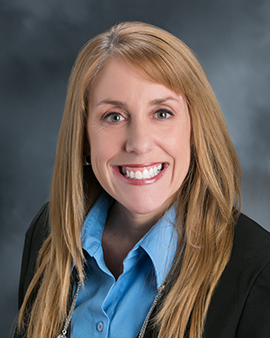 She also worked as a marketing consultant for Cedar Rapids’ Mercy Medical Center and held other leadership and marketing positions in the corridor. She has won seven ADDY awards for excellence in advertising and brings more than 22 years of proven marketing experience to the position. Diamond V is a leading global animal health company, conducting research in many species, and manufacturing natural, fermentation-based immune support products to promote animal health, animal performance, and food safety worldwide. Global headquarters and all manufacturing is located in Cedar Rapids, Iowa. The company’s Embria Health Sciences subsidiary in Ankeny, Iowa, manufactures EpiCor, the human nutritional supplement that provides research-proven support for immune function and gastrointestinal health. More than 75 years of science, innovation, technology and quality have earned Diamond V the reputation of The Trusted Experts in Nutrition and Health. Contact Diamond V at 319-366-0745 or visit DiamondV.com.